The Weight Loss Surgery Foundation of America offers their support to Carnie Wilson as she embarks on a new journey towards a healthy life free from obesity. 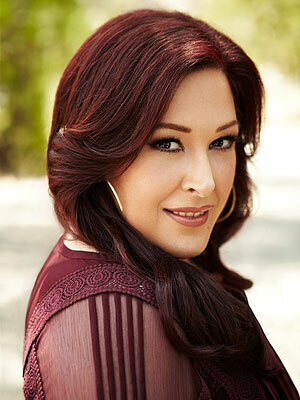 Upon hearing the news of Carnie Wilson's recent LAP-BAND surgery on January 18, 2012, The Weight Loss Surgery Foundation of America would like to voice our support for Ms. Wilson's continued journey to a long and healthy life free from obesity. We applaud her dedication and hope that a strong aftercare program provided by her bariatric surgeons practice will help Carnie reach her health goals. In the 12 years since Carnie Wilson's Roux-en Y gastric bypass surgery, much has been learned and many advances have been made in the bariatric community. The WLSFA would also like to take this as an opportunity to inform the public about the procedure called "Band Over Bypass, also known as BOB." Some weight loss surgery patients elect a surgical revision to support additional weight loss and lifetime maintenance. A revision with LAP-BAND surgery over the previous Roux-en Y gastric bypass, BOB, may be the answer for some. By placing a LAP-BAND over the original gastric bypass, it will restore the ability to limit food intake and promote a feeling of fullness (satiety) after meals. "It's easy for medical professionals and the general public to be bias towards those who have had weight loss surgery and did not achieve or maintain their weight loss. There is no simple fix to obesity. We want to show through education, access to correct information, and community support, that we can encourage others like Carnie Wilson to continue to thrive and beat obesity," says Founder Antonia Namnath. We wish Carnie the very best with her new LAP-BAND, and hope that she reaches all of her health and weight loss goals. The Weight Loss Surgery Foundation of America will be here to cheer her along the way! For more information about the Weight Loss Surgery Foundation of America, please visit: http://www.wlsfa.org.